Jim Wadsworth Productions is pleased to be a part of the Lakeland Jazz Festival once again. We're really excited about this years lineup: on Friday Dave Morgan's "The Way of the Sly Man" will be performed with and all-star NE Ohio line-up; then the multi-Grammy winningYellowjackets stir things up on Saturday night; followed by a double-bill big band matinee on Sunday featuring the Lakeland Civic Big Band and the Dave Banks Big Band. Several NE Ohio colleges will be presenting some of their jazz groups on Saturday afternoon including Cleveland State, Oberlin and University of Akron. Along with a clinic from the Yellowjackets and dozens of high school jazz bands, and it will be a great weekend of jazz. Come celebrate the 40th anniversary of the Lakeland Jazz Festival. It's sure to be an outstanding weekend of concerts. 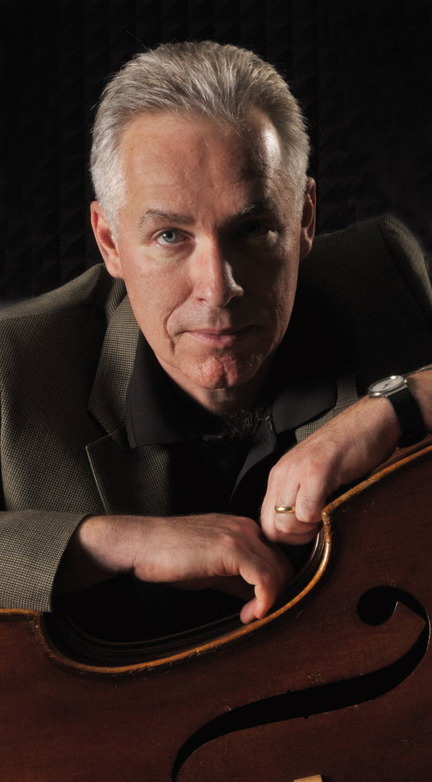 Dave Morgan & Friends - "The Way of the Sly Man"
Renown bass player, composer and Professor of Music at Youngstown State University, Dave Morgan presents his composition "The Way of the Sly Man". This composition draws upon a variety of musical influences in addition to American jazz and pop idioms, including the music of the Middle East, India, and Africa. In the first half of the program, vocalist Shannon Eller will be featured on new fresh arrangements of Dave Morgan's. Additionally Morgan’s arrangement of Frank Zappa’s masterpiece “Echidna’s Arf (Of You)” will be performed. Howie Smith on Alto and Soprano Saxophones; Brad Wagner on Tenor Saxophone, Flute; Tom Reed on Baritone Saxophone, Clarinets; Jack Schantz on Trumpet and Flugelhorn; Bill Hoyt on French Horn; Chris Anderson on Trombone; Shannon Eller on Voice; Joe Leaman on Piano and Keyboards; John Anthony on Guitar; Dave Morgan on Bass; Ron Busch on Vibraphone; Bob Young on Mallets; Jamey Haddad on World percussion. Yellowjackets' EPK for their new 2011 recording "Timeline"
On the making of "Timeline"
Two-time Grammy winning group the Yellowjackets make their first appearance in northeast Ohio in many years. The group is currently nominated for two more Grammy's in 2012 for Best Jazz Instrumental Album ("Timeline") and Best Instrumental Composition ("Timeline" by Russell Ferrante). This progressive jazz group has been together for 31 years and has garnered major critical acclaim over the years for their originality and the depth of their music and playing. Their 21st CD, Timeline, was just released in 2011 on the Mack Ave label, one of today's leading jazz labels. Featuring Russell Ferrante on keyboards, Bob Mintzer on sax, William Kennedy on drums, and the new addition of Felix Pastorius on bass. The concert at the Lakeland Jazz Festival will be the first performance of Felix with the group. The Lakeland Civic Jazz Orchestra is under the direction of Dave Sterner and will feature "Adventures in Db, the music of Count Basie". The Dave Banks Big Band will feature music from some of the best arrangers in the business as well as compositions and arrangements from our local associates and band members. Co-cordinators Lakeland Jazz Festival: Dave Sterner and Stephen Stanziano, Ph.D. The 40th Annual Lakeland Jazz Festival, is a presentation of the Arts & Humanities division. The Lakeland Jazz Festival was founded by retired Professor and Music Department Coordinator Charles M. Frank. Lakeland's Jazz Festival has remained true to its original mission of instilling the excitement and magic of jazz education to the younger generation of musicians. Over 25,000 middle and high school musicians from throughout the state have participated in the festival in celebration of this uniquely American art form, jazz. In addition, Lakeland promotes music education with its summer jazz camps every year. The camp concludes with evening concerts which allow students performance experience in a collegiate setting.